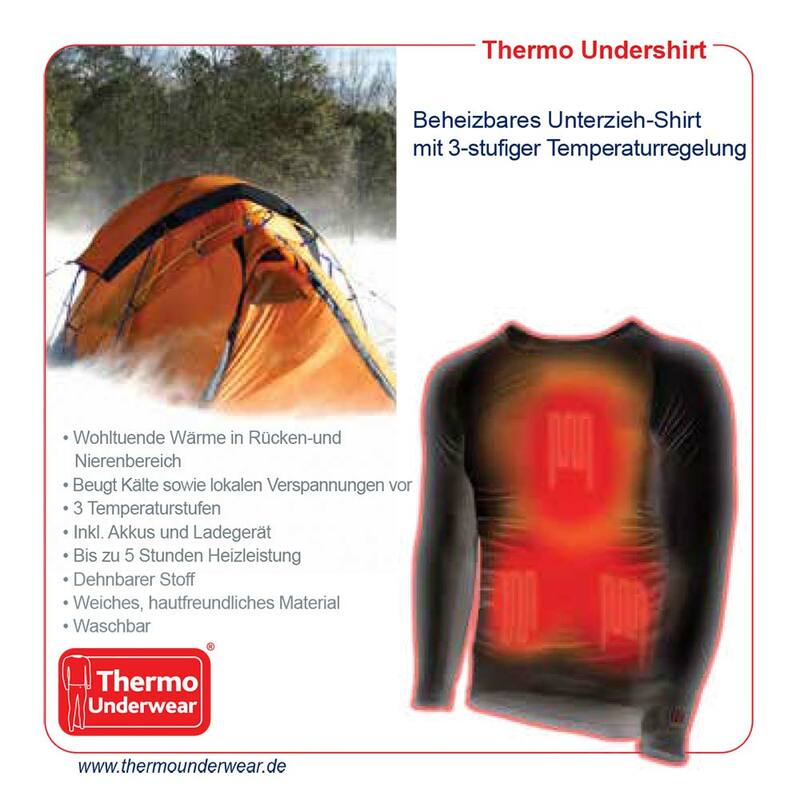 Below you will find customer letters that we have received about the Thermo Gloves. I've been enjoying your thermostat glove product for years. 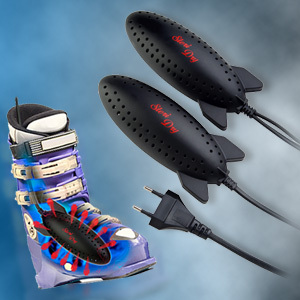 As a Canadian Ski Patrol and Ski Instructor they are absolutely necessary. I have Raynauds syndrome which is progressively getting worse. My fingers would become frozen and useless without battery warmth. I've sent many colleagues to your website so they can also keep fingers warm for the emergency care we give on hill. Below I have one working glove during our snow angel day held on Canadian Ski Patrol day trying to break a Guinness World Record. 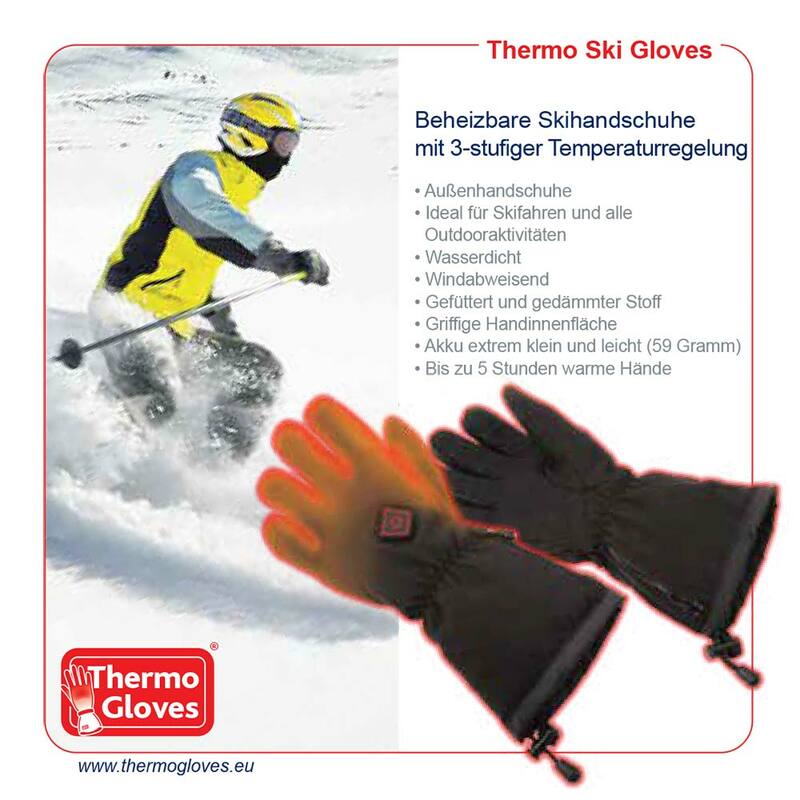 After a full ski season using your Thermogloves I cannot praise them too highly. I am only sorry that I did not invest in them sooner. In the past my fingers would get painfully cold but with your liners and using good mittens over them, I did not have a single day when I needed to get off the slopes due to cold hands. Usually just the lowest setting was enough to keep my fingers comfortable and only occasionally in the coldest weather did I need a higher setting. They were also great for snow shoveling and using the snow blower. Where in the past I'd need to quit after just 15-20 minutes, with the Thermogloves I could comfortably work for as long as I needed to get the job done. 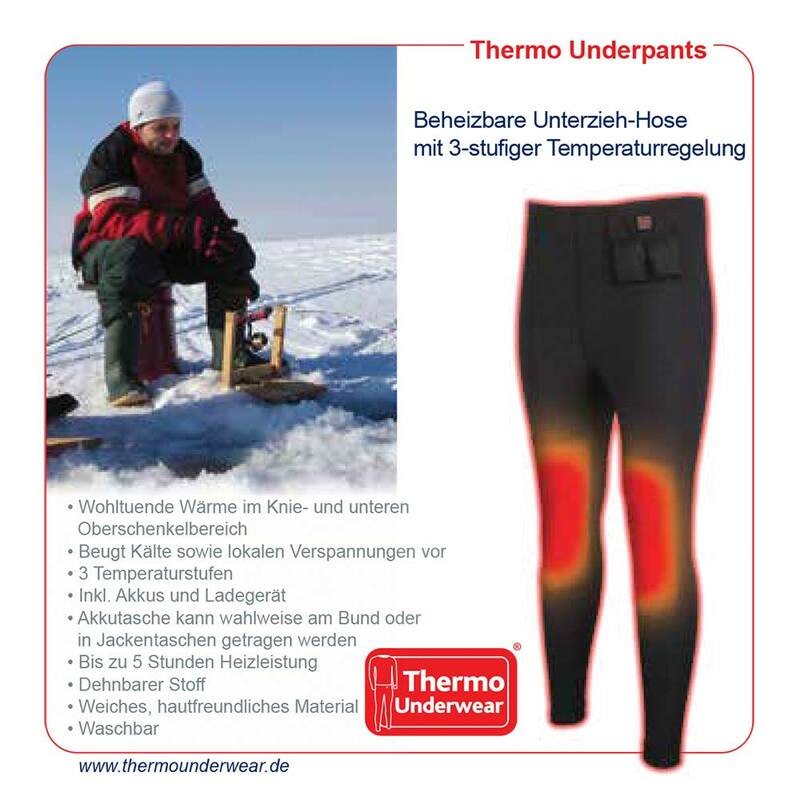 I will now not go out for long periods in winter without them. I very highly recommend them to anyone for whom cold hands is a problem. I\'m 27 and in a wheelchair with Cerebral Palsy. I live in Utah and try to walk my Miniature Pinscher daily even in the winter when its not too snowy. I used to just wear nylon gloves and fight the cold until I got Thermo Gloves at the beginning of January! I just love how thin and warm they are because I can drive my power chair and still keep my hands warm in 30 degree weather! I just would like to thank you for this product! They are just awesome! Please feel free to email me back! The gloves are fantastic. They were purchased for a friend who suffered an accident a year ago where her right hand was severely damaged in a machine. After surgery her hand was very painful when she worked in the cold environment of the meat factory she works in. 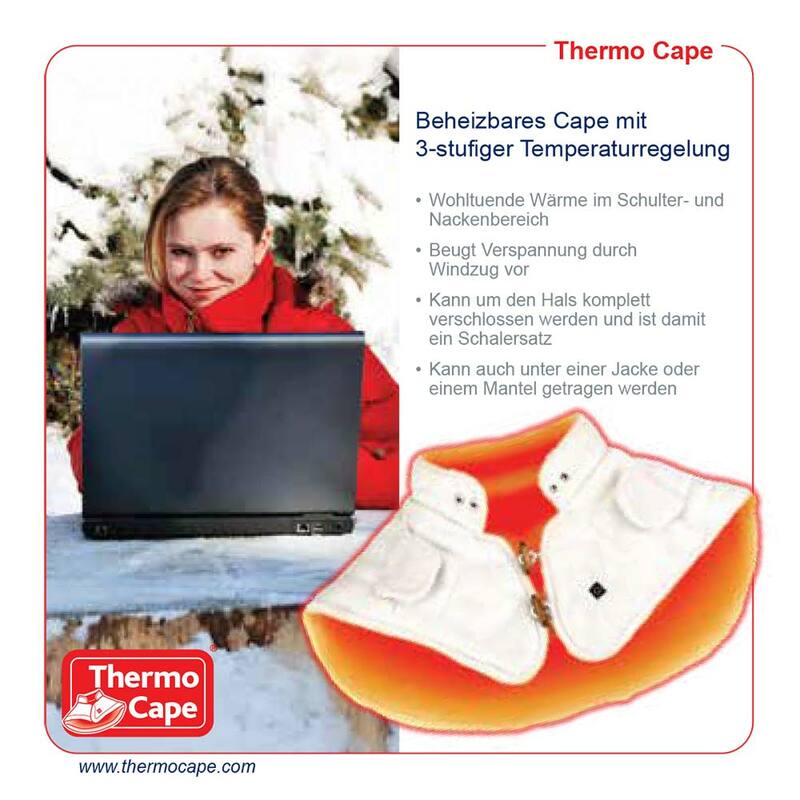 We tried many ways to keep her hand warm but all failed until we found Thermogloves. She can now work with no pain. However, the accumulators run out quite fast on the top two settings (about three hours for the orange setting) so we had to order more accumulators to get through a full eight hour work day. Thank you for your great product. 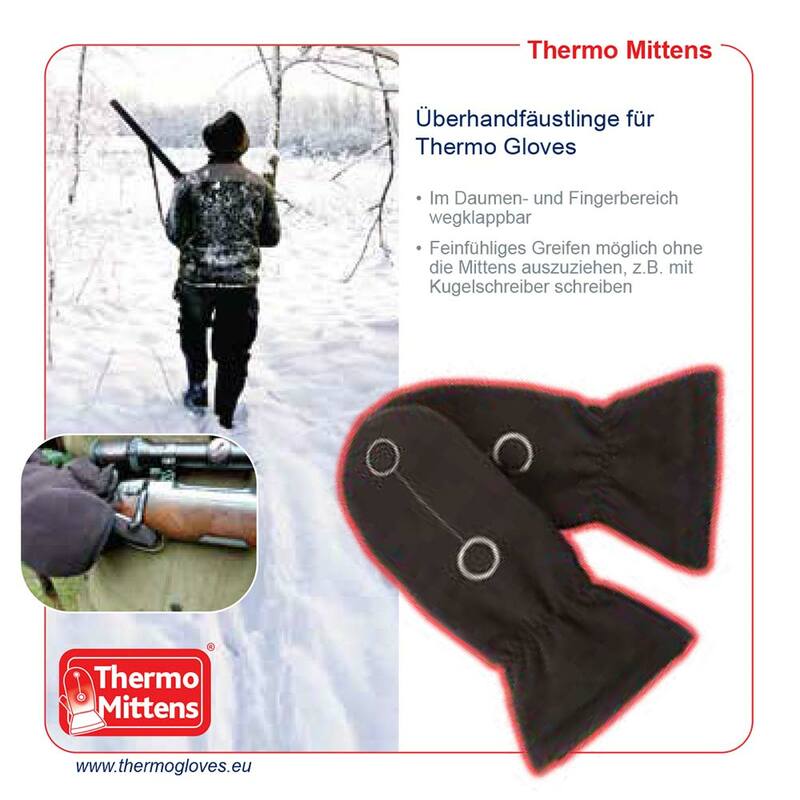 I am writing to say how pleased I am with the Thermo Gloves my wife bought me for Christmas from your company. 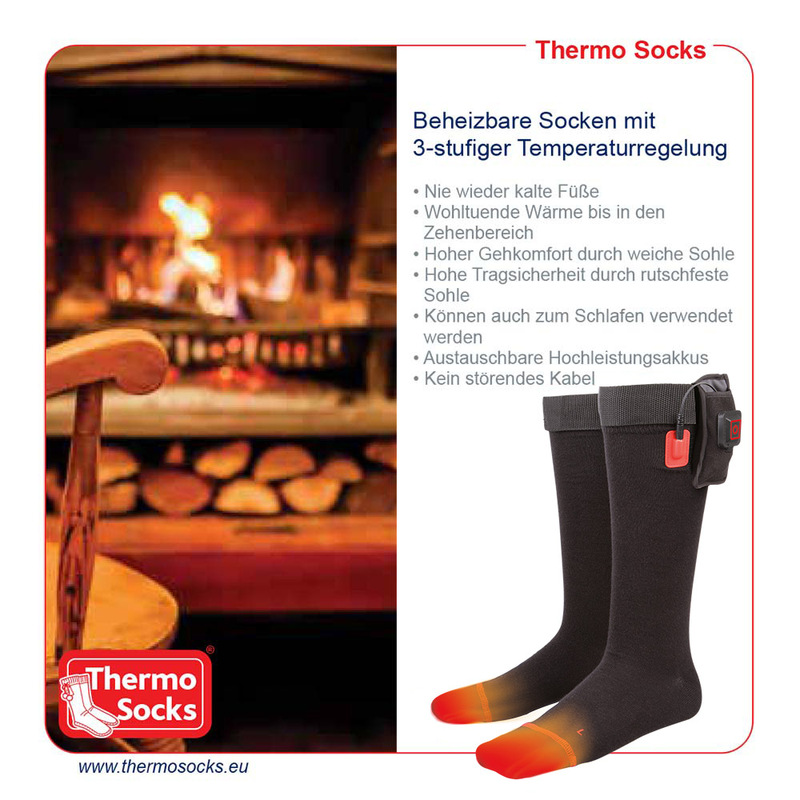 They work really well and as you may have heard the weather has been like Austria here! I will certainly recommend your items to my friends. Every day at 6:00 I go cycling, the temperatures make my hands cold in spite of my cycling gloves. 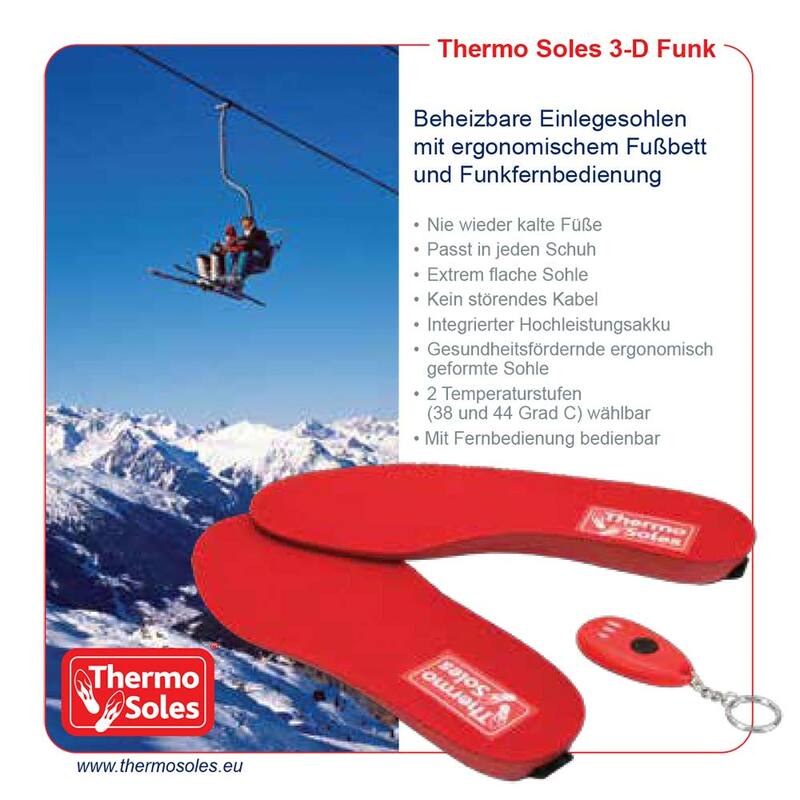 Last year, I bought the Thermo Soles and am now completely happy. 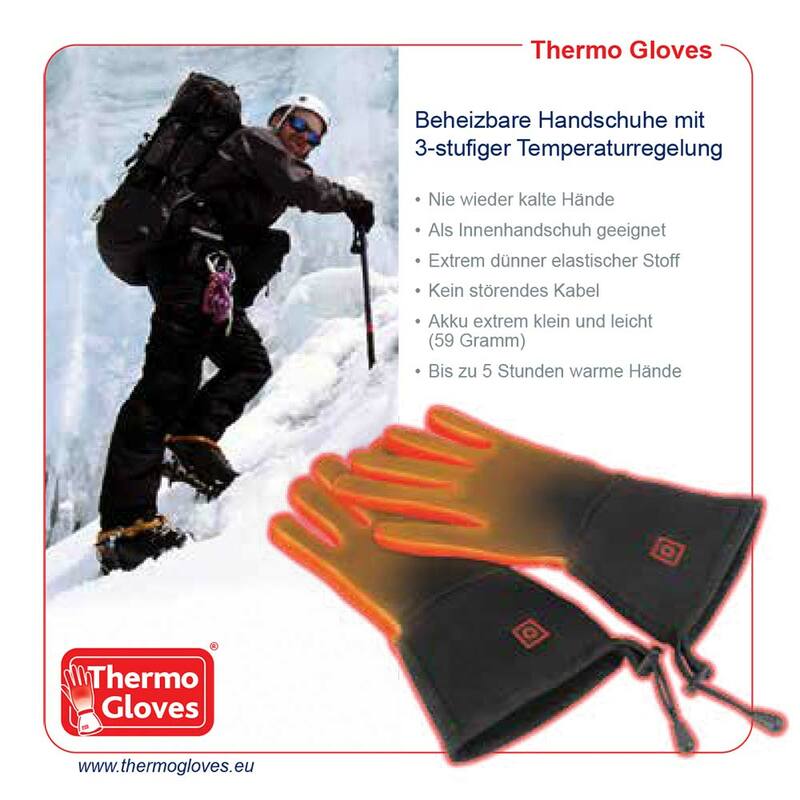 Now, I tried the Thermo Gloves, and they are great as well. I just put them on underneath my cycling gloves. Thank you and greetings. For years now, I have been suffering from cold hands and the illness Morbus Raynaud. 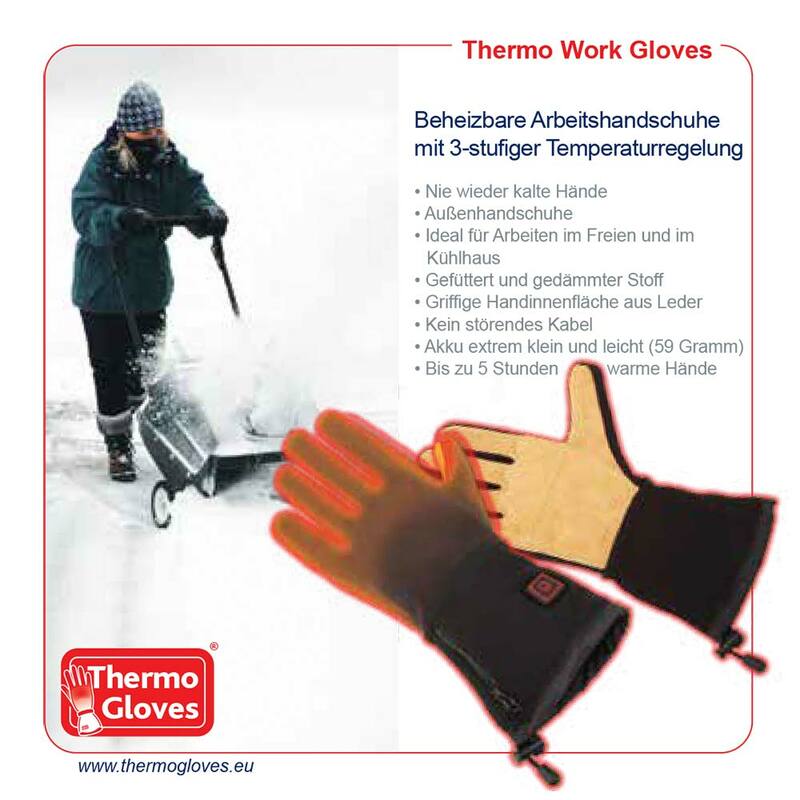 I have been using your Thermo Gloves for a few days now and am very happy. 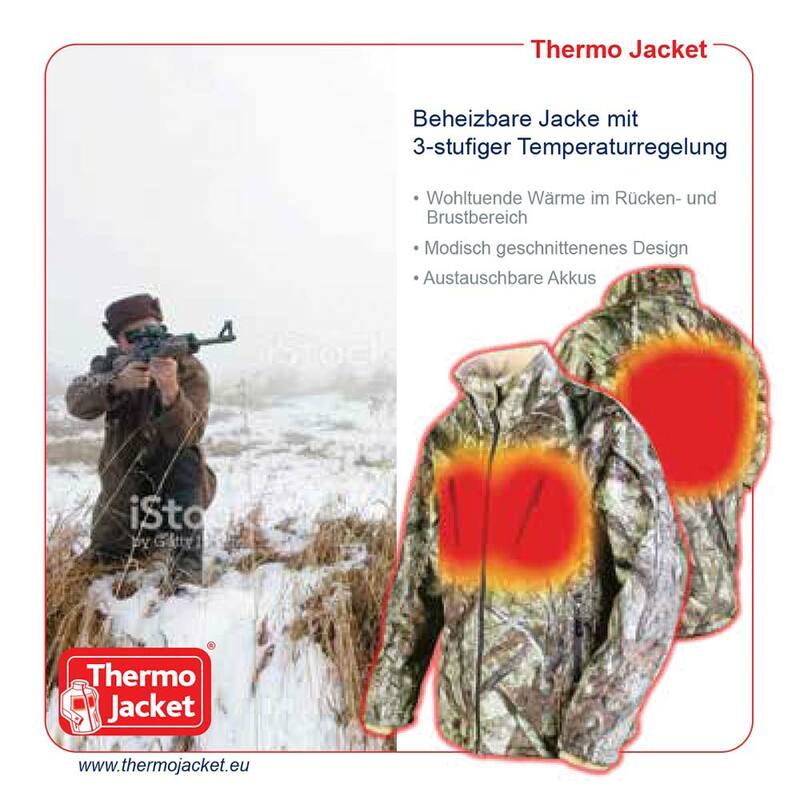 Currently, I need only the first heating level, because it is not so cold yet. My fingers just stay warm now, thank you! 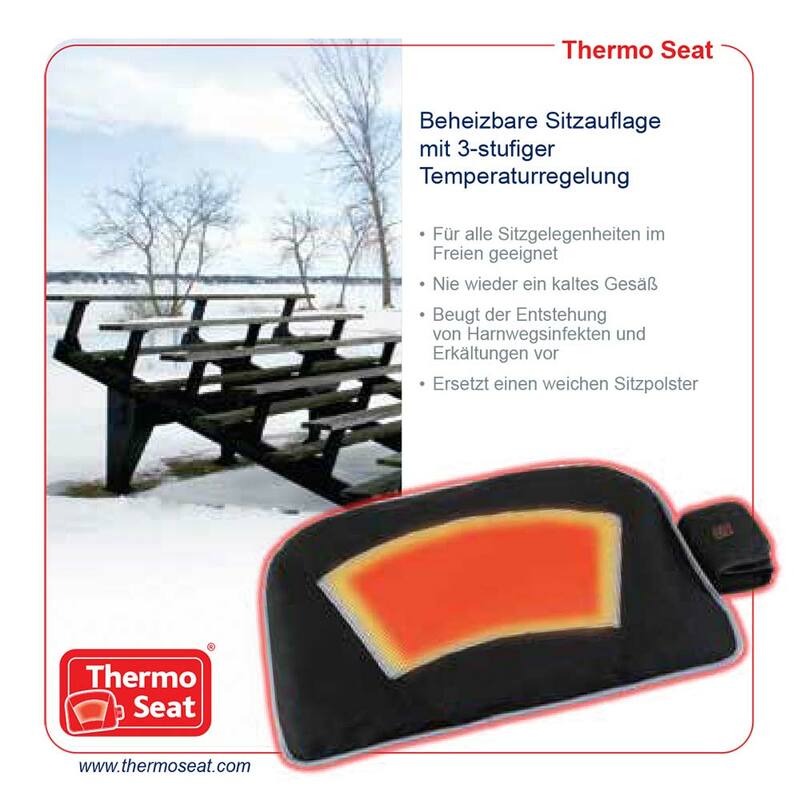 Last winter, I bought skiing gloves with a heating function for 349€, which is a small fortune! 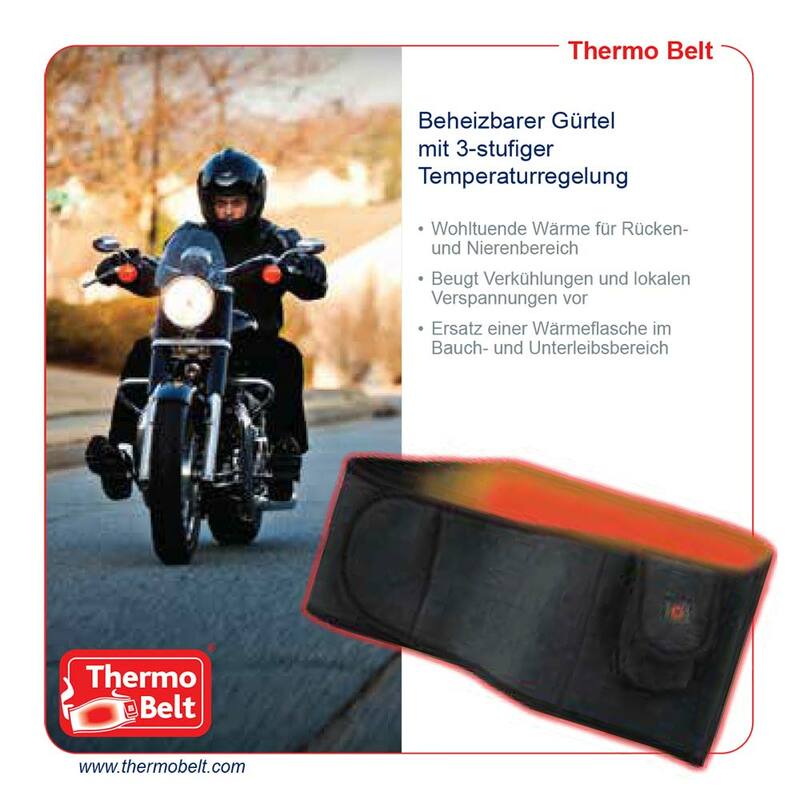 But, I am pleased with your Thermo Gloves not only because of the price, but also because I can wear them underneath my riding gloves. We would love to hear from you! 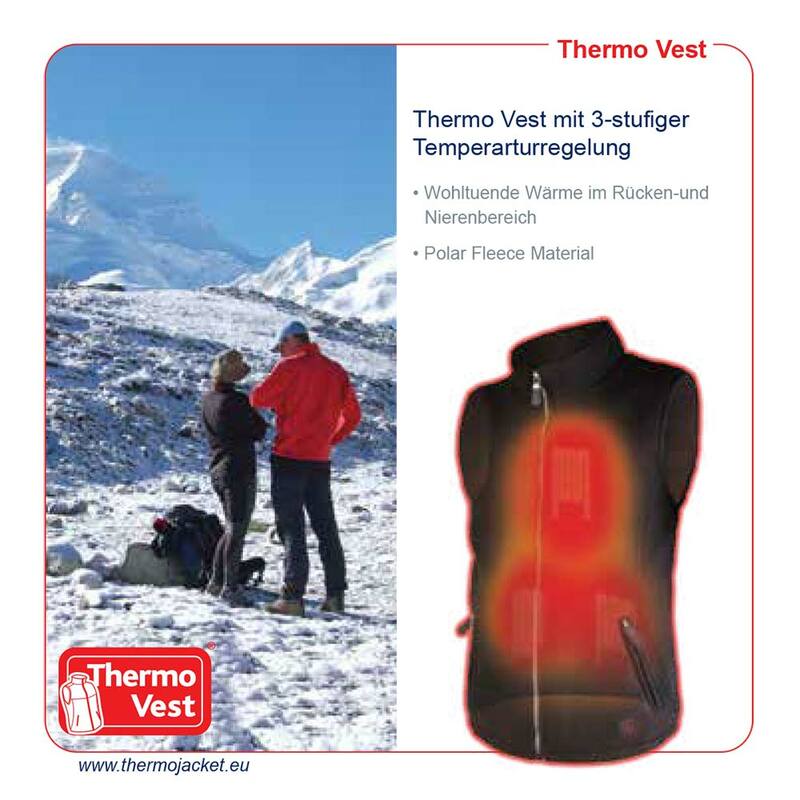 Please write us a review and email it to office@thermogloves.eu .